Want to fast-track your muscle growth and build size in a hurry? Bodybuilder Geremy Satcher will show you how! Nobody wants to wait for results. You post a photo on Instagram, and you hope to see at least 100 "likes" within an hour. You keep up with your favorite team's results just by opening an app on your smart phone for play-by-play coverage. 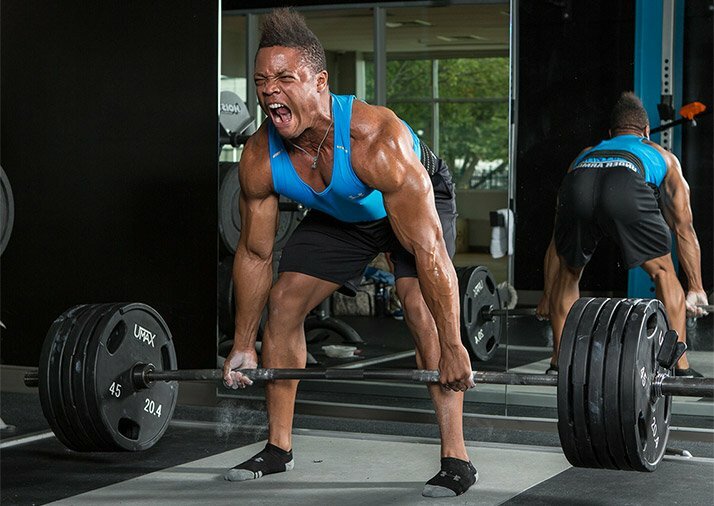 Even Bodybuilding.com offers next-day delivery on orders to most of the United States. 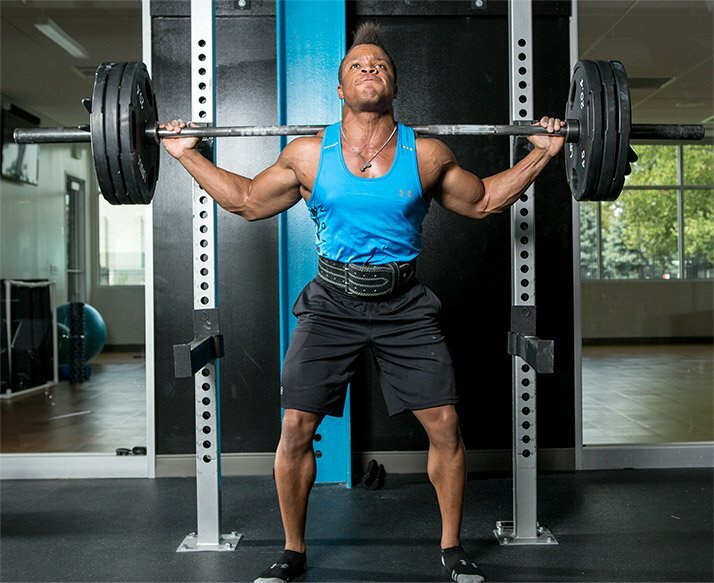 With that sense of urgency in mind, I consulted with powerlifter-turned-bodybuilder and Dymatize athlete Geremy Satcher for his best tips on not just gaining muscle, but doing it in the fastest time possible. He provided his best "build muscle in a hurry" advice for those who simply don't have time to wait. Substitute multijoint movements for isolation exercises. Most workouts consist of a collection of multijoint and single-joint movements—say, presses and a fly movement in a single chest routine. The biggest difference between them is that multijoint exercises engage more muscle groups, allowing you to push heavier weights. Take a closer look at your workout. If you're doing more than one single-joint exercise for any body part (with calves, biceps, shoulders, and forearms being the exceptions), retool it by substituting more multijoint movements. Because they recruit a large amount of muscle mass, multijoint exercises trigger a more significant hormone response than single-joint movements. Challenge yourself in the gym and push outside your comfort zone. A couple of years ago, I worked out with a younger guy who could do 80-pound dumbbell presses for eight reps. When I suggested he try the 90s, he insisted he couldn't handle those. I insisted, though, and he found out on the very next set that, in fact, he could handle them—and just not for eight reps. He actually did nine reps! I suspect my friend did an additional rep with a heavier weight just because I was there encouraging him. You've probably noticed a similar phenomenon whereby you completed more reps than you thought possible when you had a spotter on hand, especially if you normally train alone. If you never leave your comfort zone, you never force your muscles to adapt to new demands. "Staying within your comfort zone leaves room for stagnation," says Geremy Satcher. "Challenging yourself and going beyond what's comfortable directly links to your overall confidence. Build your own confidence and take baby steps toward increasing the weight you train with. Whatever you do, avoid becoming stagnant!" "Challenging yourself and going beyond what's comfortable directly links to your overall confidence. Build your own confidence and take baby steps toward increasing the weight you train with. Whatever you do, avoid becoming stagnant!" Train with a workout partner who will push you. A workout partner can do more than just force you to show up for your workouts. He or she can push you to new heights by helping you handle more weight, more reps, or both. And they can help you do this safely. Taking a set of squats or overhead dumbbell presses close to failure, for example, is less prone to disaster with an experienced spotter on hand. "Developing a friendship with someone and having them in the gym with you is one of the most important things you can do when it comes to getting past training plateaus," says Satcher. "That person is one of the few you can trust to give you straightforward input regarding corrections you need to make, your physique, and your attitude." 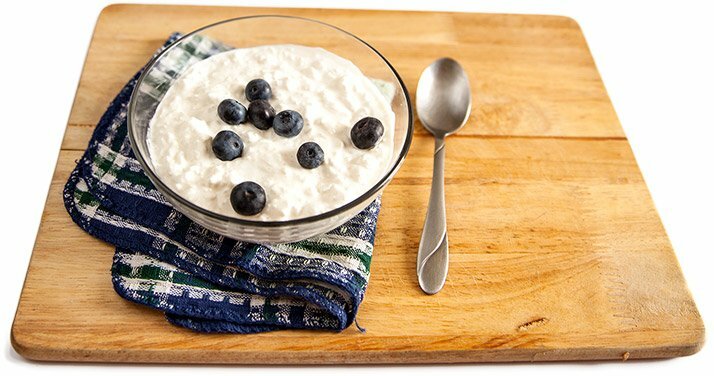 Add a pre-bedtime meal of cottage cheese or casein. Hard-gainers complain they can't gain weight—but are they doing everything they can to consume all the protein they need? No dietary change is easier to make than adding a pre-bedtime snack that includes slow-digesting proteins of the sort found in cottage cheese or a casein protein shake. Slow-digesting proteins are especially useful during sleep—which is an eight-hour fast—because the amino acids they release are available all night long, which is more useful to fasting muscles than a quick-digesting protein like whey. No dietary change is easier to make than adding a pre-bedtime snack that includes slow-digesting proteins of the sort found in cottage cheese or a casein protein shake. If you're not taking creatine, add 5 grams' worth to your shake. Micronized! Promote Strength, Recovery, and Performance! * Go Now! In the first tip, I listed a number of exercises that are proven muscle builders. Notably absent was any mention of machine exercises. That's because the free-weight movements are superior for building muscle and strength. Those free weights require a lot more secondary muscle activity and stabilizers to help control the motion and balance the weight, engaging more muscle mass. Machines have a place for beginners learning movement patterns, those who are working through injuries, and even for bodybuilders toward the end of their workouts. But if you're doing machine movements early in your training in place of a free-weight alternative—well, maybe you're just being lazy. Choose the most challenging exercises early in your workout rather than looking for easier alternatives. "I'll be as blunt as I can with this topic: Stick with free weights for mass building!" says Satcher. "Consider machines as assisted weight. When you're training with free weights, you muscles have to carry the full force of the movement, and that makes you work harder." What separates those who succeed from those who don't? Those who can put ideas into action. Here's where motivation counts. I already assume you want to gain an extra 10-15 pounds of muscle, but I can probably also assume you've been saying that for the past few years. So how do you take the next step and make it happen? Start engaging with like-minded people, both at home and online. Watch training videos from bodybuilders and strength athletes who inspire you—they're just about everywhere these days. Chat online with a bodybuilder, or even engage their services for a month or two to help push you to the next level. Read about new workouts and techniques you can insert into your training. If none of those works for you, take a scoop of pre-workout and you'll be ready to rock 'n' roll in about 40 minutes. "Finding your inspiration will only accelerate your growth," says Satcher. "There's no one fighting against your efforts except you. The wrong attitude will compromise the altitude of your life!" "Finding your inspiration will only accelerate your growth. There's no one fighting against your efforts except you." If you're having trouble putting on weight, look at your diet a little more closely. While I'd never suggest skimping on your veggies, the produce aisle is known for healthy fare that fills you up without much of a caloric punch. In a nod to health, get your daily servings of fruits and veggies, but don't expect a meal plan of salads and high-fiber foods to give you much of an assist when you're trying to gain weight. On the other hand, consuming beverages such as protein shakes won't make you feel full for very long. Just watch out for all the empty sugar calories in many sodas and teas. And, of course, there's always Chinese food. Prepare a daily meal plan that ensures you're consuming the necessary daily macros and daily caloric surplus to support muscle growth. Time spent in the kitchen preparing your meals is a smart investment that supports muscle growth. Rest the day before your most challenging workouts. I'd like to think you have some kind of life outside the gym, so you may typically take your rest days from the gym on weekends or situate them around other events in your schedule. Rest days are an opportunity to ensure you're fully fed and caught up on your sleep, meaning you'll be ready to hit the weights hard again the next day. That makes those next days ideal for leg or back training—grueling workouts that require more effort and sap your energy. You might even consider a two-days-on, one-day-off split so you're getting every third day for rest. Oftentimes, your best workouts come after a full day's rest, so including more of them in your training can help you push harder. Set your goal and follow a specific plan. There's a great divide between saying you want to get bigger and just showing up at the gym without a plan, and actually defining your goal and following a detailed workout that helps you achieve it. Greatness never happens by accident. This website alone contains thousands of workouts, but will they all work equally well when it comes to your goals, time commitments, training experience, and recuperative abilities? Find one that best aligns with your needs, study it, and follow it as closely as possible when training. Walk into the gym knowing exactly what you're going to do each day. Use the power of your mind to visualize success. A great place to start is Bodybuilding.com's Find a Plan page. Regardless of which one you choose, you should understand how and why it works, believe in it, and commit to it. By following a specific plan, you'll be miles ahead of others who wander through their workouts blindly. "Setting goals for yourself is the first step to being successful," adds Satcher. "It's something we all must do with our lives at some point. It's not just making a choice; it's finally taking the critical next step and investing in yourself physically and mentally. Remember, no goal is too lofty as long as you have a plan of action." Drinkwater, E. J., Lawton, T. W., McKenna, M. J., Lindsell, R. P., Hunt, P. H., & Pyne, D. B. (2007). Increased number of forced repetitions does not enhance strength development with resistance training. The Journal of Strength & Conditioning Research, 21(3), 841-847. Kreider, R.B. (2003). Effects of creatine supplementation on performance and training adaptations. Molecular and Cellular Biochemistry, 244(1-2), 89-94.